"We are receiving thank you letters daily from Apple Watch wearers who are discovering they have AFib. 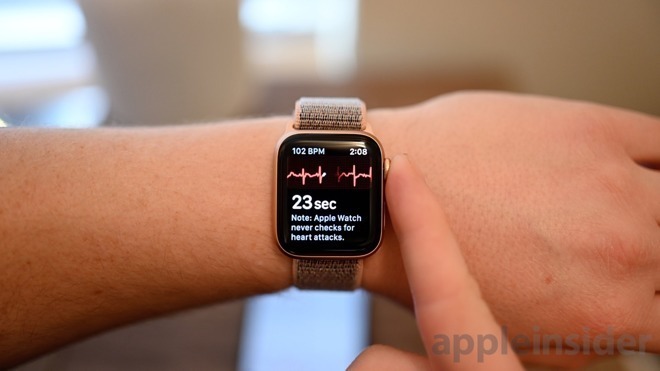 We want a deeper understanding about outcomes and prevention associated with early detection," said Apple Chief Operating Officer Jeff Williams. "We are excited to work with Johnson & Johnson, which has a long history and expertise in cardiovascular disease." Johnson & Johnson's Executive Vice President and Chief Scientific Officer Paul Stoffels said of the study that "the goal is to identify early on AFib and prevent stroke by combining the physical know-how from Apple and what we have from the medical and scientific know-how." "Utilizing wristwatch-based optical heart sensor and ECG monitoring is a logical evolution of this research and may also lead to increased AFib diagnosis and improved clinical outcomes for patients," said Dr. Paul Burton, Johnson & Johnson's vice president of medical affairs. "This collaboration brings together Johnson & Johnson's depth of expertise and long heritage in treating cardiovascular disease with Apple's experience in utilizing cutting-edge technologies to improve the lives of consumers. Ultimately, we hope to improve the treatment of cardiovascular disease, and identify ways to prevent it."